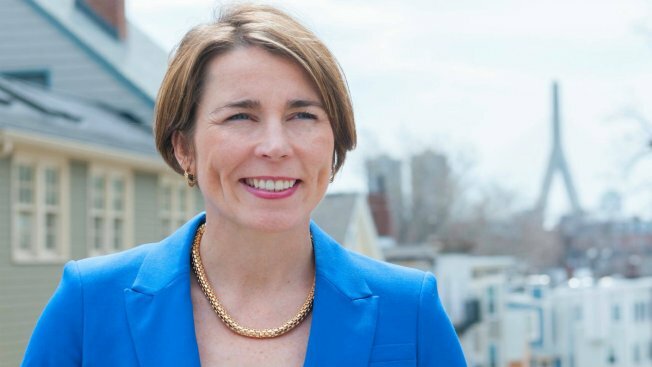 Attorney General-elect Maura Healey is preparing a major push against heroin and prescription drug abuse, including plans to expand the Massachusetts program that monitors prescription drug use and to investigate the cost of anti-overdose medication. Healey, who takes office later this month, was set to announce her plans Monday, including the creation of a task force to help sharpen the response to the "epidemic" drug abuse problem in Massachusetts. Healey said the crisis has worsened because anti-pain medication is so potent and illegal drugs like heroin are readily available. She said she's spoken to people who've suffered an injury, were prescribed powerful pain medication, and later became addicted to heroin. Today's heroin, which sells for as little as $5 a bag, also is stronger, more lethal and cheaper than it's ever been, she said. One strategy Healey plans to pursue is toughening the state's prescription monitoring program, which allows doctors and pharmacists to view a patient's recent prescription history. She said she wants to make the website easier to use and wants doctors and pharmacists in neighboring states to have access to the information. Healey said she also wants to strengthen the state's pharmacy lock-in programs. Through these programs, individuals suspected of doctor-shopping for prescription drugs or abusing their prescriptions can be "locked in" to a single pharmacy to better monitor possible misuse. She said she wants to work with insurers to expand these programs. She said she also is concerned about the cost of Naloxone - also known as Narcan - which is used to help reverse the effects of a heroin overdose. She wants to meet with pharmaceutical companies and public health leaders to push for cheaper nasal Naloxone products and to ensure first responders can restock supplies of the medicine. Public education programs on opiates and prescription drugs are another priority. Healey pledged to use resources from the attorney general's office to pay for education efforts and to help reduce teen access to prescription medicine. Healey also wants safe disposal boxes for prescription drugs in communities across the state. "We must lead the nation in confronting this public health crisis," she said. The attorney general-elect said the task force will include criminal prosecutors, civil enforcement attorneys, health care experts, investigators, drug abuse prevention experts and the Massachusetts State Police. She said she hopes to work with Gov.-elect Charlie Baker, who has also called opiate abuse prevention a priority. In a recent interview with The Associated Press, Healey said she would consider taking legal action against pharmaceutical companies to help rein in prescription drug abuse. "I certainly won't hesitate to take action against pharmaceutical companies that are engaged in unfair or deceptive marketing practices," she told the AP. An ongoing lawsuit in Kentucky alleges Purdue Pharma misled health care providers and others about the risk of addiction associated with OxyContin. Richard Silbert, a lawyer for the company, says the evidence doesn't show Purdue Pharma's marketing caused harm. Silbert has said the company agrees that prescription drug abuse is a serious problem. For that reason, he said, the company has reformulated the drug OxyContin to make it harder to abuse.